Heavy 6 ply rated nylon construction resists punctures and abrasions. Fitments for a variety of 2 or 4 wheel drive ATV applications. Top notch handling in dirt, mud or rock! Superior traction in woods! Great in the desert! Additional shoulder lugs protect rim and sidewall. 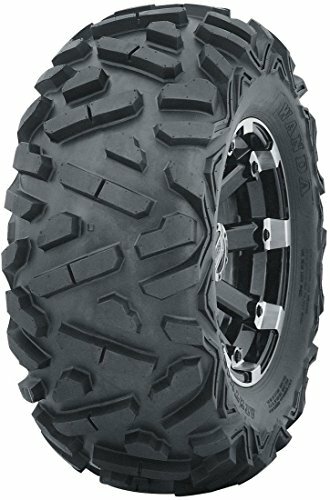 36% deeper tread than major competitor with similar tread patterns, result as heavier, longer lifetime, and more aggressive. Tread depth: 0.79" vs other similar pattern tires: 0.5". Tires only, rims are not included. Top notch handling in dirt, mud or rock! Superior traction in woods! Great in the desert!